Dr. Mohammed Nouh Al Qudah received his Ph.D. and Master’s degree from the University of Jordan Dr. Al Qudah has served as the Minister of Religious Affairs and the Minister of Youth for the Kingdom of Jordan. Prior to that, he was a faculty member at the Islamic Sciences International University in Jordan. 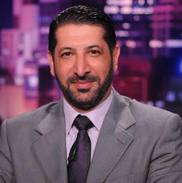 He has taught at Al-Balqa Applied University and Ahl-Albayt University in Amman. Currently, he serves as Friday khateeb, as well as an arbitrator in the Jordanian Courts. He has delivered fatwas in his area of expertise of fiqh, and namely on “relationships and personal interactions." He covers Islamic topics on many TV stations, focusing on Aqeeda and Fiqh.